This article discusses a forensic technology that is used to defend against piracy for secure multimedia content distribution. In particular we are interested in anonymous rebroadcasting type of attack where the attackers redistribute the per-content encrypting key or decrypted plain content. Traitor tracing technology can be used to defend against this attack by identifying the original users (called traitors) involved in the rebroadcasting piracy. While traitor tracing has been a long standing cryptographic problem that has attracted extensive research, existing academia researches have overlooked many practical concerns in a real world setting. We have overcome many practical concerns in order to bring a theoretical traitor tracing solution to practice. 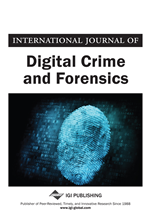 The main focus of this article is on designing efficient forensic analysis algorithms under various practical considerations that were missing from existing work. The efficiency of our forensic analysis algorithms is the enabling factor that ultimately made the first time large scale commercialization of a traitor tracing technology in the context of new industry standard on content protection for next generation high-definition DVDs.